Oregon's Secretary Of State Calls Voter ID "The Conservative Right Wing's War On Voting"
Despite strong support for basic, common sense laws ensuring the integrity of the vote across the country (see here, here, here, here and here), the Left continues to insist that requiring positive identification and verification of eligibility before voting is somehow suppressive, racist and and an evil plot to steal elections for Conservatives. Few public officials, however, are bold enough to state it in public. They'll poo-poo and soft peddle it so as not to sound extreme. Here in Oregon, we don't have to worry about such delicate political sensibilities. 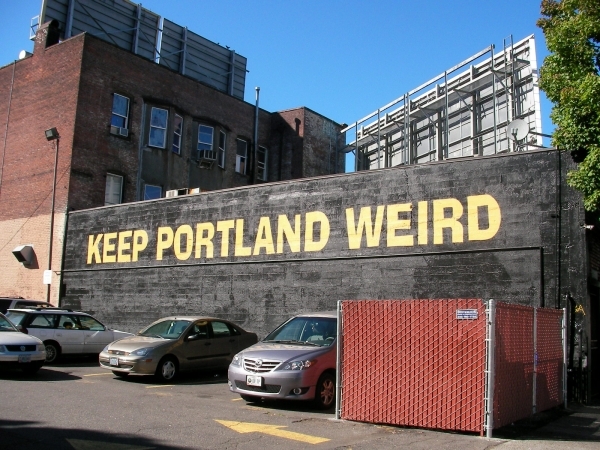 Our leftist politicians feel perfectly comfortable stating their beliefs, secure in the knowledge that in Portlandia, Keeping Portland Weird means never having to pretend to be reasonable. Now, to be fair, Secretary Brown has not been known recently for her strong adherence to state statutes or common sense. She arbitrarily changes election dates; she writes rules allowing counties to circumvent state law requiring the destruction of unused ballots at 8pm on election day; she has consistently fought to restrict citizen access to the ballot initiative process. In fact, she's left such a wake of medicrity and supposed incompetence that she's inspired the Twitter hashtag - #KorruptKate. Oregon has long been the playground of socialist experimenters. It's high time that we instill some basic common sense in our public officials.